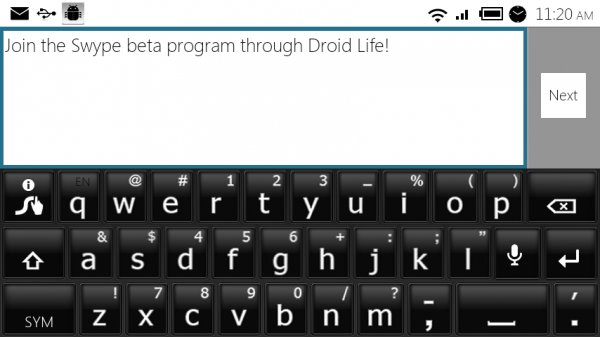 After just 24 hours and almost 250 entries later, we are ready to announce the 50 Droid Life readers who will be invited into the closed Swype beta program! Swype came to us yesterday realizing that our community is in love with their product and wanted to give back. So here we go! The 50 of you will receive an email from Swype over the next couple of days with details on how to join the program. Congrats everyone! And thanks again to Swype for giving our readers a chance to test out their fantastic product! Stay tuned for more contests over the next week!